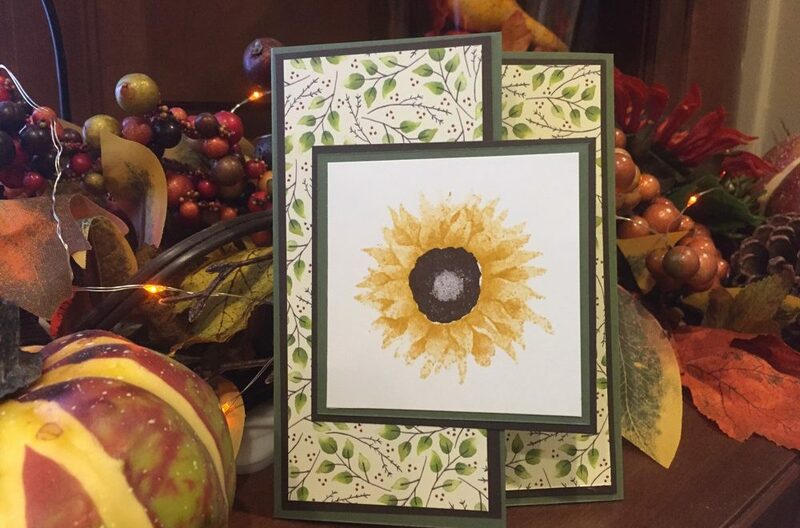 I couldn’t wait to try out my new Painted Harvest stamp set and what a better way than to make this happy sunflower thank you card. This card forms the basis for several projects that I’ll be featuring in this #LoveFallArt series. It’s a quick card to make and you can make up a batch of them in no time flat. Using the color combos that I previously put together, I went about selecting the color scheme that best complemented my favorite combination. 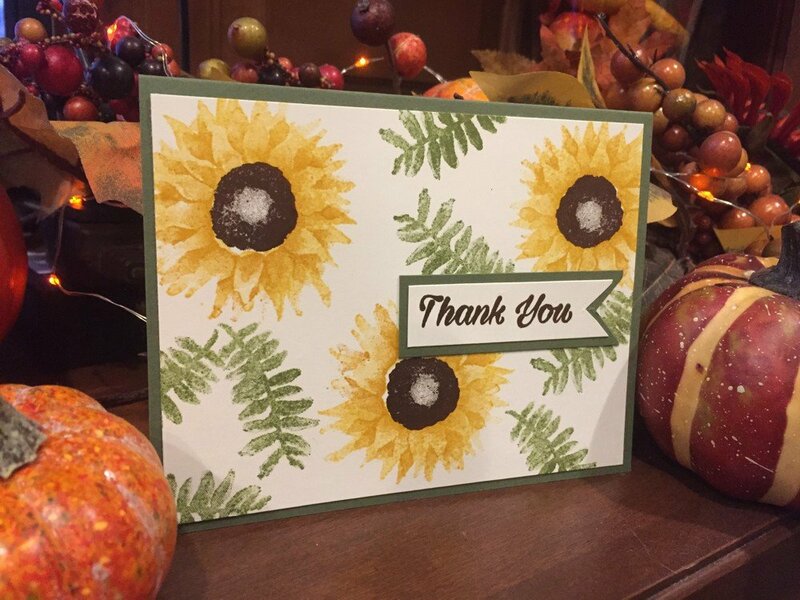 For this project, I wanted to use Stampin’ Up inks and wanted a green base that complements the leaves to the flowers. The Always Artichoke paper was the perfect complement and for this card, I wanted to use it not just as the backdrop, but as the card base. 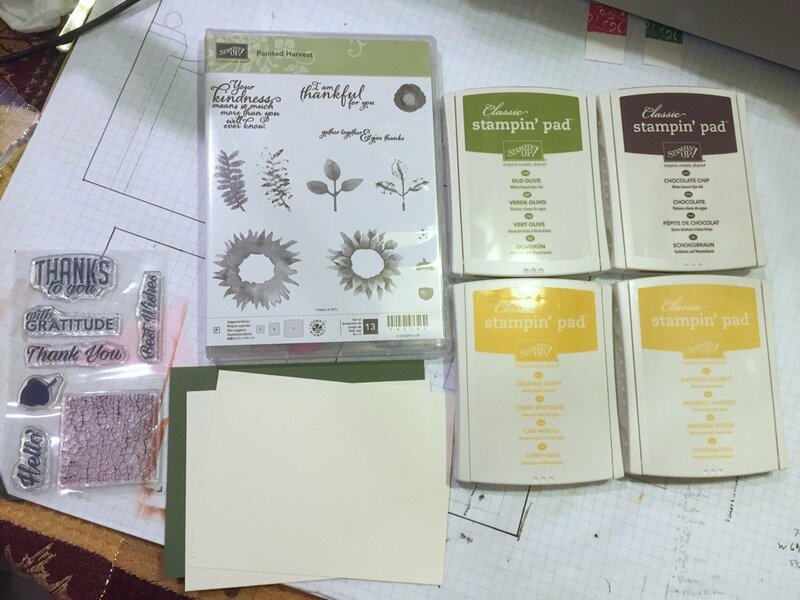 Although I usually use Neenah cardstock for card bases, Stampin Up paper is nice and thick. However, because of the dark color, it does require a liner for the inside of the card. That’s something you don’t need when using plain white card bases, which also cut down on overall card weight. The Very Vanilla was a better choice than using a white background for the flowers. The white seemed like it would be too harsh. As I mention in the video, I used Old Olive ink and, to lighten it further, did 2nd generation stamping for the leaves. I love how this little card turned out. The happy sunflower makes me smile, especially on a cold, rainy fall day. 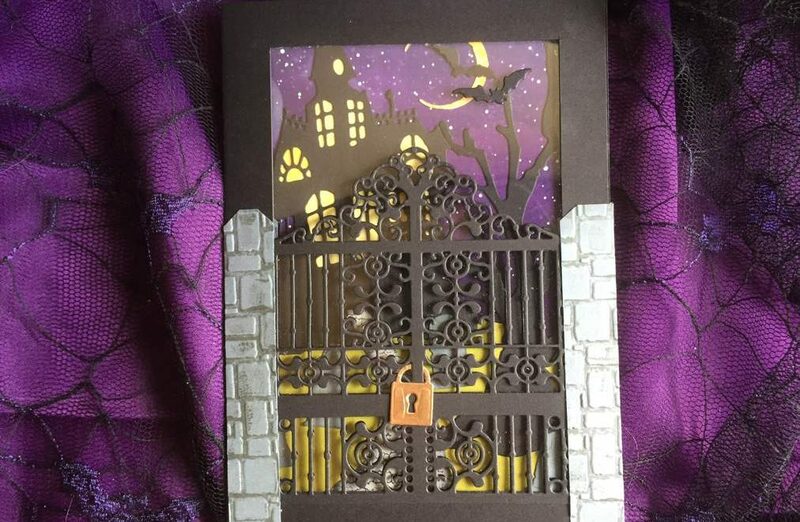 This was an easy card to make and it was easy to make up a batch of them to use for gifts. Next up is a tri-fold card using this stamp set. 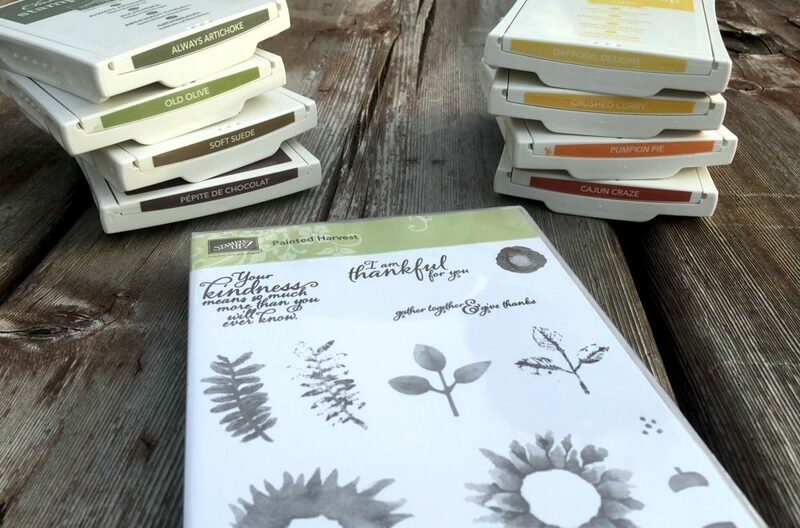 Then, after a break for some Halloween projects, I’ll be showing you a perfect way to use these quick cards to make an awesome gift for the holidays, a birthday, or as a hostess gift. If you subscribe below, you’ll be notified each week as I post more projects.